The process that is used to can meat is not difficult if you are using the right equipment. 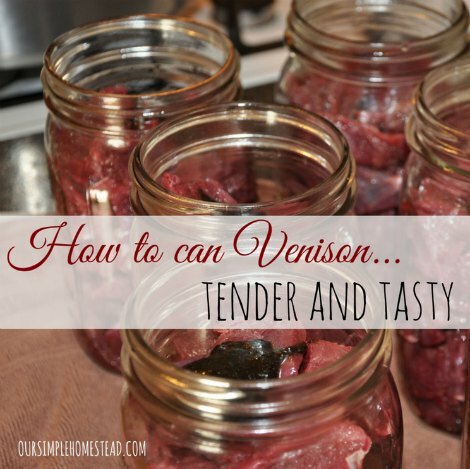 If you hunt for deer or have obtained deer meat, then canning venison is a good option. You will need to use a pressure canning device when you want to can this type of meat for later use. The venison that you want to use can be fresh or recently thawed. Many people will put their deer meat in a freezer until they have time to perform the canning process. You should cut deer meat into small pieces as they will fit better in the mason jars used for canning. All your cans or mason jars will need to be filled and sealed before you start the canning process. Read the instructions for the pressure canning device you are using to know how long to process the mason jars. The time to process your venison will vary, but expect to wait at least 90 minutes.